Pencils are easy and convenient to use, paints a little less so. But there's a high quality colour pencil that you can paint with as well, so you can enjoy the best of both worlds. Derwent Watercolour can be used wet or dry, on wet or dry paper, to achieve a wide variety of effects. Soft in texture so easy to blend and layer. Derwent Watercolour Pencils are available in 72 classic colours, which retain their full intensity however you use them. For sheer versatility, Derwent Watercolour is unmatched. Can be used wet or dry allowing you to draw and paint with complete control. Combine the control of a pencil with the subtle beauty of the watercolour medium. Ideal for mixed media work. Colours Included: Deep Cadmium, Orange Chrome, Deep Vermilion, Crimson Lake, Imperial Purple, Spectrum Blue, Prussian Blue, Mineral Green, Grass Green, Golden Brown, Copper Beech and Ivory Black. 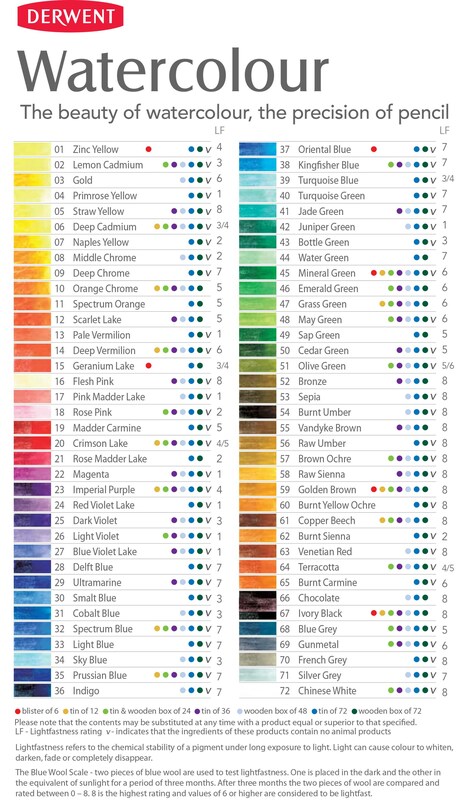 Refer to the Colour Chart in Media for specific colour information. We collect information about you when you create an account on our site, browse our website or place an order for products on our website. We also collect information when you voluntarily subscribe to our newsletter. Website usage information is also collected anonymously using cookies. We collect information about you to fulfil your order, manage your account and if you voluntarily subscribe, to offer you promotions that may be of interest to you. We work with a very limited number of third parties that add certain functionality to our website. These companies do the following on our behalf – process payments, delivery emails, deliver orders. Whenever we share your personal data with these providers, we require them to keep it safe and keep it no longer than is required. The Art Shop Skipton would never share, sell, rent or trade your personal information with anyone for marketing purposes. Only if you consent will we send you marketing information we can include information on our latest promotions, events and products which might interest you. We use a third-party provider for our newsletters, MailChimp. We collect statistics around email opening and clicks using industry standard technologies. For more information you can view MailChimp’s privacy notice. You have the right unsubscribe to these at any time and can do so but clicking unsubscribe at the bottom of any of our emails. 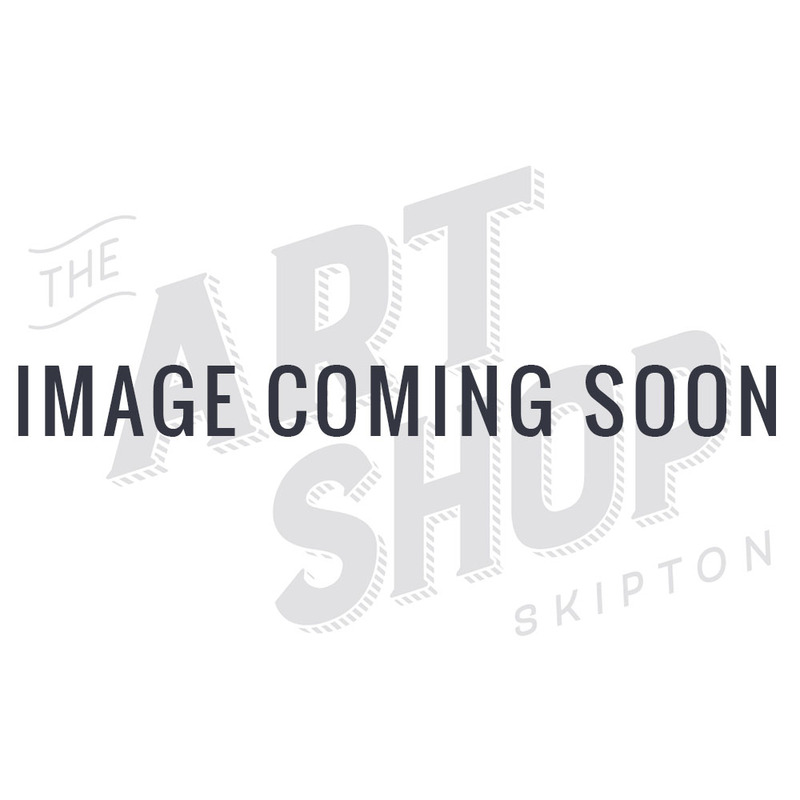 The Art Shop Skipton uses a third-party review service called eKomi. If you place an order with us, they will email you asking you to review our service, we use this to monitor and improve the service we offer to our customers. If you would not like to receive emails from eKomi, please contact us. Cookies are text files containing small amounts of information which are downloaded to your personal computer, mobile or other device when you visit a website. Cookies are then sent back to the originating website on each subsequent visit, or to another website that recognises that cookie. Cookies are useful because they allow a website to recognise a user's device. Cookies on our site also enable us to customise certain areas just for you. When someone visits www.theartshopskipton.co.uk we use a third-party service – Google Analytics. This service collects standard information about how visitors use our site. We use the information to compile reports and to help us improve the site. The information collected is anonymous, including the number of visitors to the site, where visitors have come to the site from and the pages they visited. If you wish to opt-out of being tracked by Google Analytics across all sites, you can use this link.